Before you file for divorce there's some things you need to know, starting with what does and does not qualify as grounds for divorce. Learn more here. If you're considering getting a divorce, then you've probably already thought about the emotional toll the process is likely to take on you. You may deal with stress, difficulty sleeping, and even unexpected health issues like a lowered immune system. Perhaps you've already found a place to stay for a while, have planned out the conversation you'll have with your kids, and have booked an appointment with a therapist. But before you do anything more, make sure that you're aware of what is and is not actually grounds for divorce in Canada. 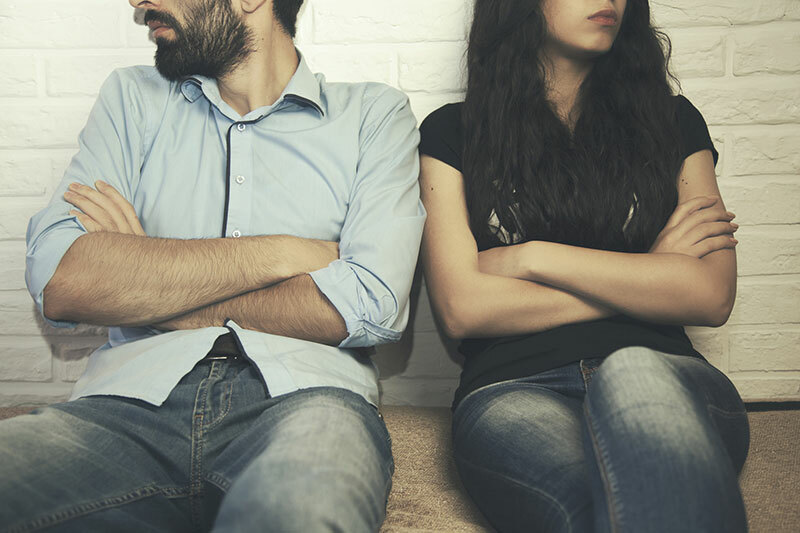 While knowing about the grounds for divorce may or may not influence your decision to leave your partner, it will ensure that the process is as smooth as humanly possible. Read on to learn the information that will help you to keep your sanity and dignity in check, and your finances, property, and children protected. About 40% of all Canadian marriages end in divorce. And while the reasons and individual stories behind those divorces are no doubt very different, we're willing to bet that many of them occurred because of some of the same main reasons and differences. Likely, they happened because of adultery, cruelty (we'll get specific on that definition in a moment) or because a period of separation has been completed. Let's take a look at the three main ways to get a divorce in greater detail now. Have you and your partner already been separated for one year? Do you plan to live "separate lives" for at least one year, and are you willing to wait for one year before your divorce can be officially finalized? If so, then this separation, also called a "No Fault Divorce," will likely be the option you use when it comes to grounds for divorce in Canada. What you'll need to focus on here is getting the required proof that you and your former partner have truly been living "separate lives" for one year. Most often, this is proven to the courts by showing them proof that the two of you no longer live under the same roof. It's the most uncomplicated way to do it, and it's often helpful when you want to avoid having to start your one year separation period from the day you filed for divorce. It's also the most affordable option. However, sometimes, you may not be able to move into separate homes, whether because of financial limitations or because you don't want to cause undue emotional damage to your children. You'll need to show that you have different social circles, don't eat your meals together or split grocery bills, don't cook or do laundry for each other, have separate rooms, and more. In this case, you should work with a legal professional to help you make your case to the courts. This is also helpful if you've started living apart prior to the date you actually filed for divorce. While certainly not the most pleasant option when it comes to grounds for divorce, sometimes, you'll be forced to prove that your partner inflicted physical or mental abuse on you. This is part of what's called a "For Fault Divorce." This will be granted if you and your lawyer -- which we certainly recommend you have if you're electing to use this option -- can prove this cruelty. If your spouse physically hit or beat you, hurt you in another physical way (such as burning, etc.) or sexually abused you, you certainly have grounds for divorce. But mental cruelty also plays a here, and it's much more of a grey area and at times, more difficult to prove. It can include things like having an affair, (a more detailed form of cruelty we'll cover in a moment) humiliation, threats to your life or the lives of your family members, or simply poor treatment. You will also need to show that the actions of your former partner made it "intolerable" for you to stay in the marriage. The judge will look at the impact the abuse had on you, how long it went on, how frequently the cruelty/abuse happened, and more. Adultery, or the act of having an affair, is also a way to get a divorce in Canada. As with cruelty, it falls under the umbrella of a "For Fault Divorce." Keep in mind that there are fairly specific definitions of what is and isn't adultery in the eyes of a law. If your partner at the time met with someone else without telling you, you might be annoyed -- but you can't get a divorce without proving there's been sexual infidelity. Also, only the person that was cheated on can use this as a grounds for divorce -- not the person doing the actual cheating. Finally, be aware that if you've already forgiven your spouse for an old infidelity, you won't be able to dredge it up again in court. Need A Lawyer To Help You Prove Grounds For Divorce? Thanks to this post, you now know the grounds for divorce in Canada. You've also seen that, regardless of which option you'll be pursuing, it's important that you have the legal help that you need throughout the process. We're experts in divorce and family law, and our attorneys are compassionate, dedicated, and determined to give you the outcome you want. Read our testimonials to learn more about some of the people we've helped. We're also able to help you with probate and wills, real estate, corporate commercial law, and much more. No matter what sort of a situation you're in, there's no reason to stay in it for any longer than is absolutely necessary. Get in touch with us today to have us on your side. This entry was posted in Grounds for divorce by verhaeghelaw. Bookmark the permalink.